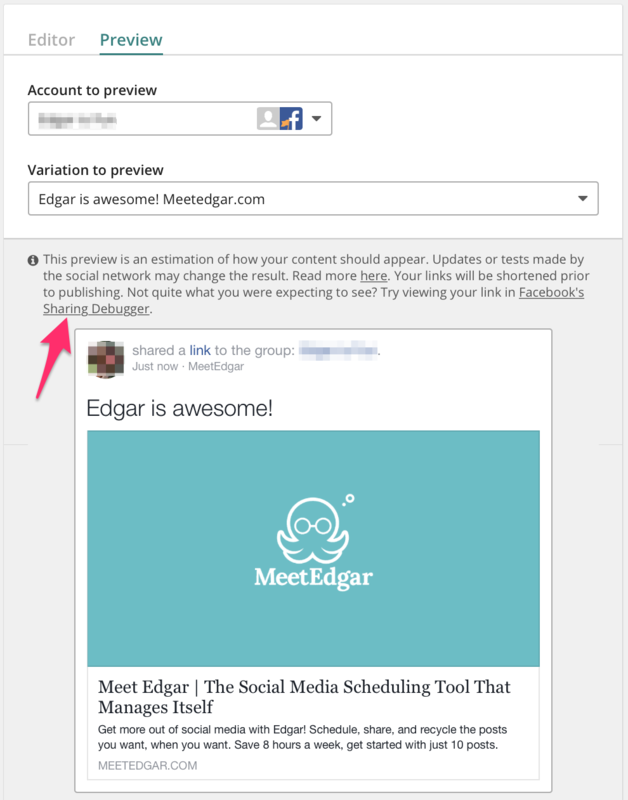 When adding or editing your posts, click the Preview tab to view a preview of what that post will look like on the social networks. 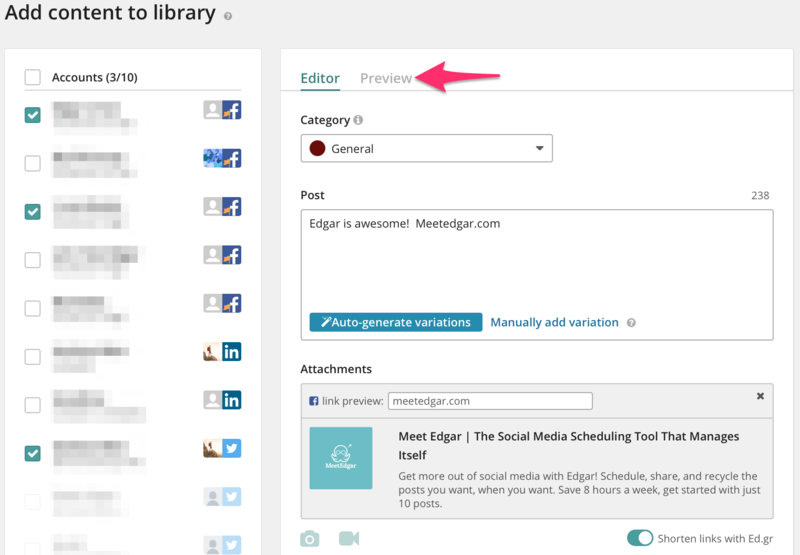 Use the drop down menus to preview different accounts or variations (note: previews are not available for LinkedIn at this time). 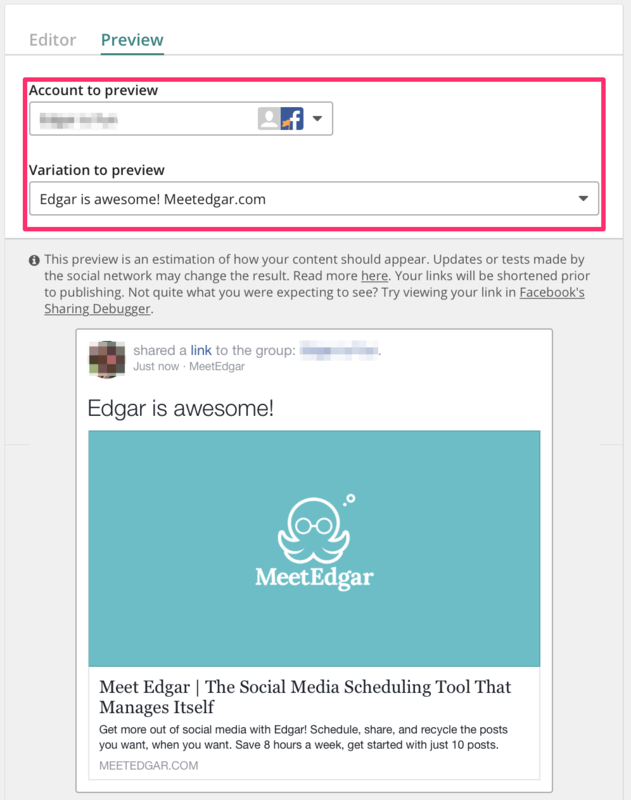 Each social network will check your links and generate their own preview when your post is published. Make sure your website's meta tags are formatted for the best link previews on Facebook and that you have added Twitter Cards to your website. Due to experiments or other changes that may occur on the social networks, previews are not 100% guaranteed. Emojis, text size and truncation of longer blocks of text may appear differently on the networks themselves. Need more help? Reach out to the customer experience team by clicking on the chat icon to the right!